In the 1900s, the frontier spirit was embodied by the hard-working men that built this country, and their after-shift whiskey drink of choice —The Boilermaker. Today, that same spirit lives on in modern, hard-working pioneers everywhere. A simple, quality ritual to look forward to at the end of the day — the Bulleit Boilermaker. 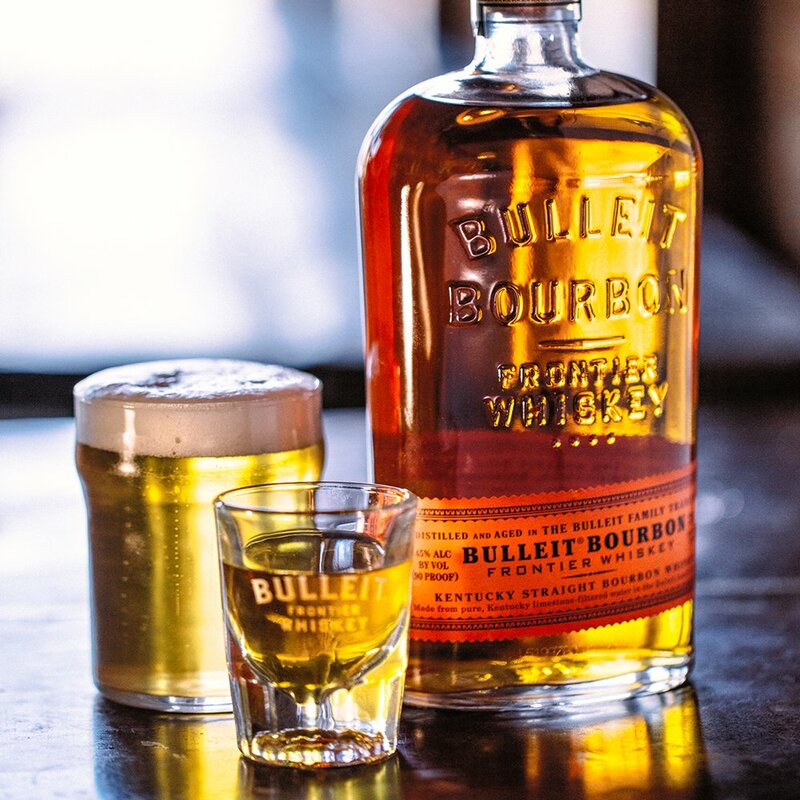 Experiment with your #BulleitBoilermaker by sipping your favorite Bulleit whiskey alongside any domestic, international or craft beer. The Boilermaker drink is the classic combo of beer and whiskey. There are many origin stories behind the name, with the most popular explanation linking it to the locomotive workers of the 1800s who were known as “boilermakers.” At the end of a shift, they’d head to the bar where they’d order a beer and a shot of whiskey. This timeless pairing can be served with a variety of beers and enjoyed by sipping one after the other – preferably whiskey first. The flavors of the beer and whiskey complement each other and offer a distinct cocktail experience. We’ve got a few ideas of our own, but we love hearing creative ways to make a Bulleit Boilermaker. Check out a few of our favorite images below and use the #BulleitBoilermaker hashtag on social to see more or submit your own—don’t forget to tag us at @Bulleit, too.